I have to admit that this article from the NY Times gave me so much to talk about that at first I didn’t really know where to start. So, I am going to write two posts that cover two distinct topics. This first post will cover the often-talked-about pros and cons of a celebrity endorsement and doing your best to protect your brand. 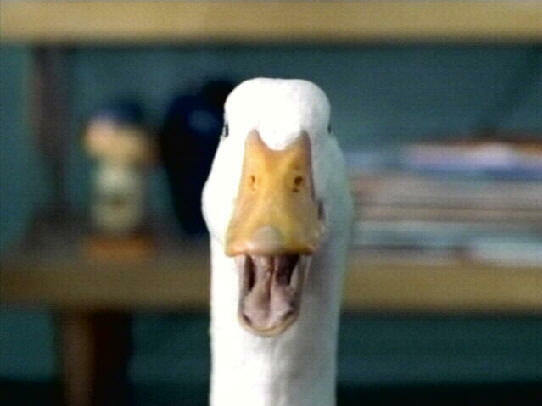 A very quick summary of what happened (in case you don’t want to read the article or haven’t yet heard): Aflac had been using comedian Gilbert Gottfried as the voice of the duck they use in their advertising. This duck and the voice have become somewhat iconic. 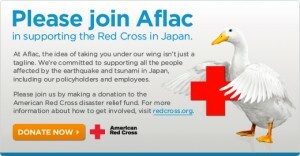 Yet, following the Japan earthquake and tsunami, Mr. Gottfried posted some inappropriate and offensive comments on Twitter. Given the high percentage of their business Aflac does in Asia and Japan in particular, as well as the overall poor judgment he used, they had no choice but to release Mr. Gottfried from his contract. I won’t spend a lot of time talking about all the pros and cons of celebrity endorsements. That was done to death with Tiger Woods. I am sure EVERYONE remembers how many endorsement deals he lost, etc. However, I will make a couple of general comments. On the positive side, a good endorsement deal can provide great brand recognition, brand affinity and positive press. We also can’t discount the free press and impressions that are generated anytime the famous endorser wears the brand logo, uses the product, etc. I have worked with some amazing entertainment and sports celebrities in my career that represented the brand with class, who never did anything to break a morality clause and who I readily would work with again if I had the opportunity. For example, Misty May-Treanor and Kerri Walsh were the ultimate dream from a brand and personal standpoint. I worked with them as they represented Banana Boat suncare in 2008, the year they won their second consecutive Olympic gold medal. They were easy to work with, loved the product and never did or said anything that would put the brand in a bad light. They understood what it meant to represent a brand properly and worked hard for the money they received from us. They generated great, positive press, and they truly used the product as they spent all day outside playing volleyball. Then, there is someone like Gilbert Gottfried. Aflac found the perfect voice for their duck. However, he is also a comedian who is often “out there” in his act and can be seen as less than wholesome. He has been known to be abrasive. He is also involved in other voiceover work, including as the character Digit in the PBS children’s show “CyberChase.” Truth be told, he wasn’t exactly endorsing the brand or promoting it as Gilbert Gottfried. Instead, he was acting somewhat anonymously by lending his voice to the duck. This is not unlike Kiefer Sutherland being the voice of Bank of America. What, you didn’t know that? You would think this is safer than an actual endorsement, but the problem was that his unique voice and how he portrayed the voice of the duck made it more obvious who the voice was. So, what does this mean for using celebrity endorsements? Brands use them all the time, put morality clauses in the contracts and take risks. The question becomes why do they take these risks and how can you as someone managing a brand protect yourself and the brand as much as possible? As I mentioned, there are great rewards from a good celebrity endorsement that can drive your brand and sales. Believe me, they can work. But you have to determine if using a celebrity endorsement is right for your brand and will provide the rewards you are looking for, given its costs and risks. Brand managers will think it is cool. They get access to the celebrity and get to experience exclusive events the celebrity is involved in. They love posting the picture of them and that NASCAR driver in their office for everyone to see. (I can’t tell you how many pictures I have of me with a sports or entertainment celebrity sitting in a box in my basement, but I think I am a little jaded.) If built into the contract, you can use them to entertain your retailers or visit retail outlets to help drive sales. Endorsements are often about brand building, and if that is what your brand wants to do, it can make sense. This is basically what Accenture was using Tiger for. If you are looking for a celebrity endorsement to drive sales, it is a lot harder to quantify and you have to find a way to develop an ROI model that will prove that the endorsement deal is actually driving sales. It is possible, but harder than if you are brand building. Example, did the packaging and displays with Tiger result in higher sales than the one without, given everything else being equal? ? If your budget is exceedingly tight and it is all about incremental volume at retail, is paying a celebrity to be in your advertising a good use of your funds? Or, would you be better off investing in account-specific programs and consumer sales incentives? Endorsement deals are risky no matter how clean-cut the celebrity appears to be. No one ever thought Tiger Woods would be a risk. Prior to his dramatic fall from grace, most brands would have killed to have enough money to use him. These risks are why morality clauses are built into contracts and brands limit the length of contracts. I have worked with many senior marketing managers who are literally scared of using endorsements. You have to present all the what-if scenarios and make sure you have a response prepared in advance. This is certainly smart planning regardless, but if you are that afraid of what could happen, you might consider not investing this way. There are also some brands that are just considered edgy brands and they are less risk averse to begin with. Outside of the morality issues, there are other risks. Going back to Misty and Kerri , part of their appeal was their gold medal quest and the additional cache it would bring to the brand. What if they, for some reason, hadn’t made it to the Olympics? What would that have done to all that the brand had put in place? This has happened. Do you remember the Dave vs. Dan Olympic Decathalon battle during the run up to the 1992 Olympics? Reebok invested millions into the campaign only to have Dan not make it out of the trials. The larger a brand’s budget, the less risky some of these situations become. Conversely, some small brands can reap huge rewards from these deals, and if they are willing to take the risk it, can really pay off. Stick with non-controversial celebrities and thoroughly understand their background. In other words, know who your endorser is and what they can do for your brand. The mistake that so many brands make is they don’t use the endorser to the fullest extent, either because they don’t have enough marketing funds or the brand has not created a completely integrated marketing plan. This is a HUGE mistake. Why spend the money if you aren’t going to leverage it, right? Again, Misty and Kerri are a perfect case in point. When the program was first created and the contracts written, they were going to be the centerpiece of the summer marketing campaign, including advertising. During the annual brand planning, new management took over the company. This new management team didn’t really support the idea of the endorsement deal and they, along with the advertising agency, decided that the advertising was going to go in another direction. We now had celebrities supporting the brand, but no one would actually know. Luckily, we were able to salvage parts of the plan by still executing a big PR campaign, utilizing them in in-store activities and as the centerpiece of an experiential program at AVP Tour events. However, we didn’t get the most out of the dollars we spent on them and there was a disconnect between the advertising and the other marketing activity, except for the advertising tag lines and overall messaging. The lesson to learn from all of this is to not embark on endorsement deals if you aren’t willing to spend the dollars to integrate it into your entire marketing plan. To get the best ROI, you need to tie all the pieces together. Regardless of your reasons for embarking on an endorsement deal, make sure you set realistic expectations for your results. Just because Brooke Shields says that her eyelashes grew with Latisse does not necessarily correlate to 150% growth for the brand. Assess all the elements of the campaign to determine what you expect to get back from an ROI perspective. Evaluating what you have done will help you determine if you are going to continue with this partnership or do something similar in the future. What is even more important is putting methodology for research into your endorsement plan to capture results and metrics. These metrics should be both quantitative and qualitative in order to get a full accounting of how successful you have been. Endorsement deals can be lucrative for both the celebrity and the brand. They can be the centerpiece of a successful marketing campaign, can drive advertising and bring added sales and recognition for a brand. However, they shouldn’t be used by every brand and should be considered only after thorough investigation and a commitment to a broader marketing plan involving them. Going back to Aflac, the association between Gilbert Gottfried and the brand proved very fruitful for a long time and you would assume that they used the rules I shared above. The only question I would have is whether they really understood who Gilbert was. If they did, then they put their contingency plan in place to move forward. This leads me to my next post on this topic: How Aflac made lemonade out of lemons and turned the potential PR disaster into a great integrated consumer promotion. Look for that post in coming days.